Everything's going just like Madara planned, he knows that Naruto is now able to sense nearby hostility and will take action to deal with white Zetsu so he waits for the perfect moment to make his moves. While in the battlefield, medical team have to work hard to learn about white zetsu DNA. Shizune and Sakura finished their research and learn about the source power from white zetsu. 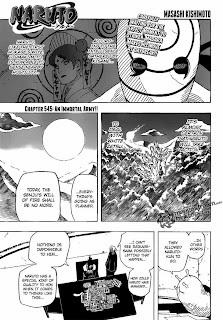 White zetsu is plant ninjas made from 1st Hokage's cells and powered themselves up by using captain yamato chakra. 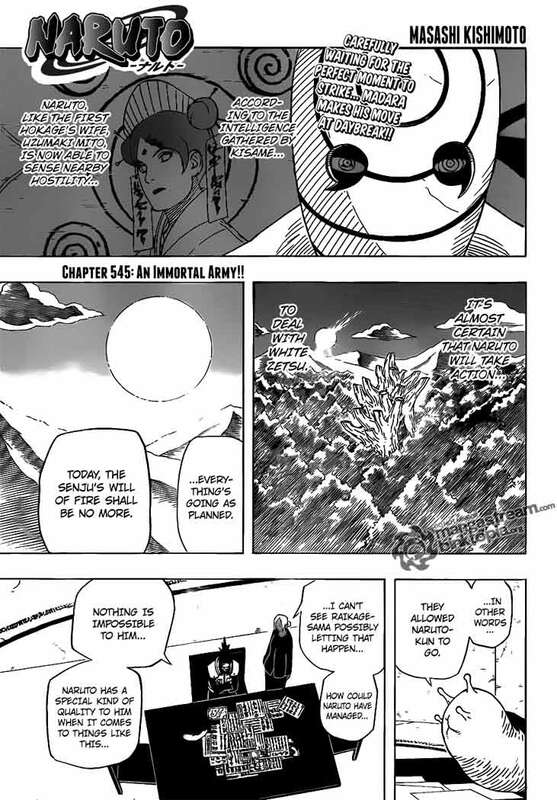 Now the HQ learn everything about Madara's body and how he could extend his life, they have no idea to defeat him because Madara might be the true meaning of Immortal. Before Naruto and Bee come to the battlefield, Shikamaru's father explain everything to them about white zetsu ability and Madara's goal. He warned Naruto to don't try to talk and reason with Madara because Madara is the true evil. After that Naruto and Bee finally face the white zetsu. Naruto is showing us his new improving rasengan. Yeah that's so cool, Rasengan Riot (multi rasengan), Rasengan Vacuum and mini rasen shuriken with the last move "home destroying jutsu" he defeat many of them easily. And head toward to all battlefield at the same time by using mass shadow clone technique.